Very interesting, I worked for the B+I in 1971 for a summer. I was a frequent traveler throughout the 50,60,70 and 80’s of the Dublin Liverpool, Dun Laoghaire Holyhead/Heysham, and Belfast Heysham, Larne Stanraer routes. 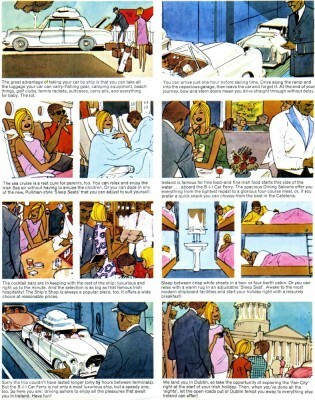 But the old Munster and Lienster with their first class,(we knew the purser so ate 1st and slept 3rd.) were real ships along with the Hibernia and Cambria. It is important to realise that these two ships were the first serious new tonnage on the Irish Sea, when traffic was beginning to decline. Air travel was beginning to make inroads at about this time. 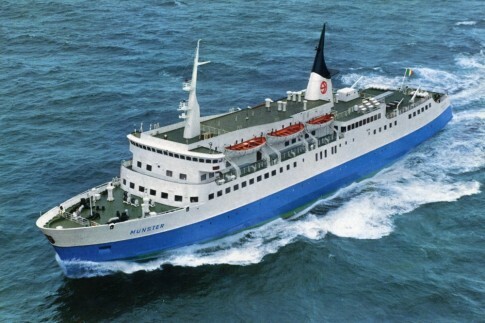 My great-aunt was the Matron on the MV Munster. She retired in February 1973,we still have the clock that she was given from the crew. my mother Colette Condon,worked on this ship, also my father Thomas o Brien, thats how they met, and the ship is where i was conceived! haha in 1972. I was born in 1963 and my Uncle John Boulton worked for B&I in Water St Liverpool. We went back and forth to Dublin from 1963 to 1969 and we went on the Munster and I am sure we went on the Leinster too! My dad was a docker and he loved the journey. We would be on deck as much as we could while my mum was ill all the way! The crossing was usually rough but I cherish all the memories of each journey. I can see the interior of the ship so clearly and I can still smell the diesel today !! Hello, v interesting blog, thanks. 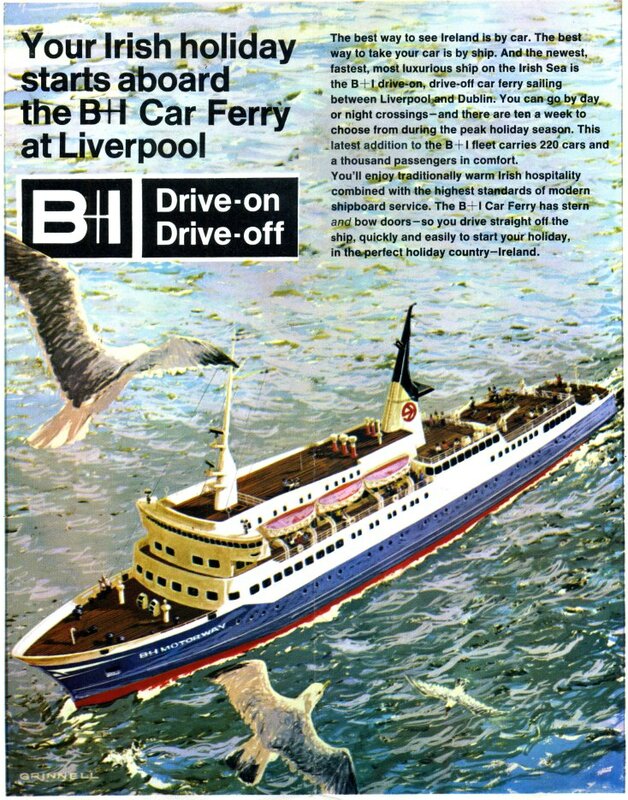 I’m very keen to track down some of this B&I imagery and advertising, purely for personal enjoyment, not commercial, would it be possible to get a high res copy of the images used via email please? I worked on the Munster from 1960-1962 as a cabin boy. The blue room brought back many happy memories. Does anybody remember Mick Maher/Frank Cousins in catering. Dear all,Where are the crew lists deposited for the old MV. Munster?